I started taekwondo when I was 3 years old and have been enjoying it ever since. I feel like it is a part of me now. 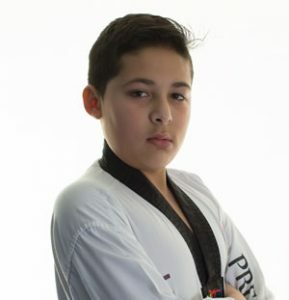 I like the sparring side of taekwondo because it keeps me fit and gives me lots of strength. Also, I have lots of fun sparring with my friends and the Masters. In 2017, I passed my 3rd Poom Black Belt grading. I have also participated in various competitions and seminars. In 2015, I went to the Yorkshire Open Sparring Competition and had a knockout victory.